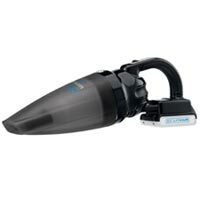 The sleek BDH2000L vacuum features a rotating slim nozzle with a built-in crevice tool and flip-up brush and is ideal for everyday cleanup of dust, pet hair and crumbs. 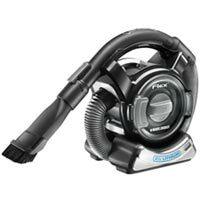 The triple layer, cyclonic action filtration system helps keep dirt off the filter so users can blast through large messes with long-lasting suction power. 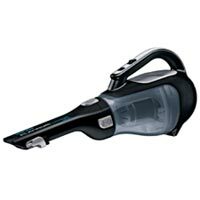 With its stylish design and washable filter and bowl, users can confidently display this vacuum in their living or dining room, keeping cleaning power handy when and where they need it most. The unit empties in one, mess-free step and comes with a charging base, charge indicator light, and weighs less than three pounds. Maximum initial battery voltage (measured without a work load) is 20 volts. Nominal voltage is 18 volts.